Slow patrol // Can Pat Symonds put Williams back where they belong? Williams F1 are a team with a rich heritage in Formula 1, they are a team that can still tug at the heartstrings of many a fan despite more than six years of mediocre performance. Back in 2011 ex-McLaren designer Mike Coughlan believed he had a plan that could drag the illustrious marque back to the top of the grid, and with the team scoring a race win, their first since 2004, less than twelve months into his tenure it almost looked as if he might pull it off. Sadly the shockingly lacklustre performance of this year's FW35 showed he wasn't even close. Now Marussia consultant Pat Symonds thinks he can succeed where Coughlan failed. 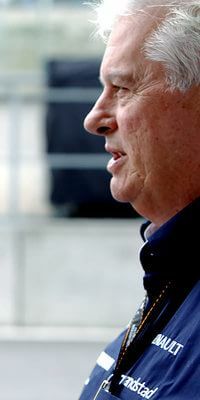 Symonds of course is no technical newcomer, his Formula 1 curriculum vitae stretches back to the 1980s, the Toleman team and roles that oversaw world championships for both Michael Schumacher and Fernando Alonso. But with Williams he faces the kind of ascent that would put Eau Rouge in the shade. Twelve races into this season and Williams find themselves placed ninth in the constructor's standings with just one lousy point (however hard won it may have been) to their name. The highlight of the season thus far has been a positive third place start in Canada. Williams' current predicament is all the more surprising given the promise last year's chassis showed and the relative rule stability the sport experienced between the two seasons. Following his appointment as chief technical officer of the Grove outfit, Symonds was keen to stress he would be unlikely to make an instant impact on the team's fortunes. 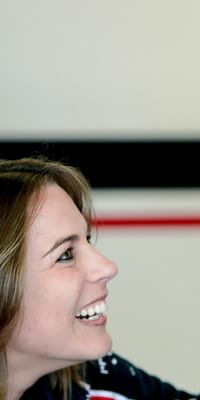 Above him, deputy team principal Claire Williams is taking an equally a long term approach, noting that with more than 500 people working at Williams, turning the entire operation around could take many months. The Belgian Grand Prix in August was Pat's first public outing in a blue shirt, although his role will initially revolve around the myriad of regulation changes set to disrupt all F1 teams ahead of next year. Williams additionally face more challenges than most as they make a long term switch to Mercedes-Benz power. Symonds previously held the role as technical consultant for Marussia while he saw out an FIA suspension for his part in the controversial 2009 Singapore crash. The exclusion allowed for an advisory role, leading to a full time F1 return this summer. While consulting for Marussia the man oversaw the team's split with technical director Nick Wirth, a factory move into the heart of motorsport valley and the introduction of the Williams KERS system into the Marussia chassis. Back then he professed an appreciation for his future employer's engineering competence and stated "Williams are also a pleasure to work with both technically and commercially." Following his abrupt exit from F1, there was talk that Pat was looking to ease himself into retirement, but clearly the lure of the Williams brand and the unique opportunity to lift them from their current predicaments were enough to keep the man in Formula 1. It's not clear how long he has been given to make an appreciable difference, but he is clearly a man with plan. "Williams does have that incredible heritage and it's a heritage I respect a lot. But we can't live in the past. They were great times, of course they were, but my job now is to make the team today as successful as it was then". Williams remain the closest thing that F1 has to a "people's team", thus all eyes will be keenly watching one man to see if he can succeed where others have so dramatically failed. No pressure at all.